Valideus will help you to manage your new gTLD registries beyond the ICANN application process, through go live to day-to-day operation. We work with you to document and deliver a registry operations plan that aligns with your strategic objectives. This is a full-outsource service, designed to save you time and money. 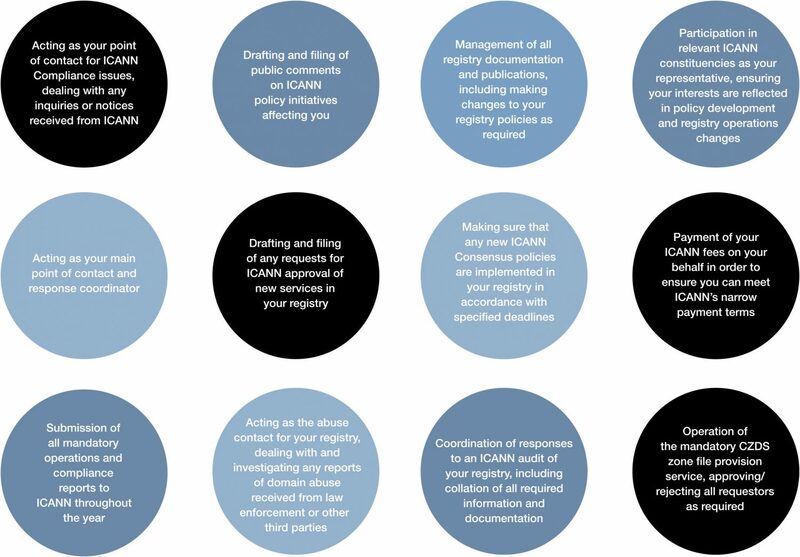 We monitor the performance of your technical providers, track ICANN policy developments, so that you remain compliant with your contract, and act as your abuse point of contact. Whether it’s CZDS zone file administration, accurate monthly reporting, or ensuring ICANN payments are made within tight timescales, there is a long list of tasks that need completing and there’s a ream of information that you need to be on top of. We are currently supplying over 25 new gTLD registry applicants with our front-end registry management services. For further details of our Front End Registry Management service, please download our brochure.